Match ends, Houston Dash 3, Portland Thorns 0. Second Half ends, Houston Dash 3, Portland Thorns 0. Corner, Portland Thorns. Conceded by Cari Roccaro. Attempt blocked. Mallory Weber (Portland Thorns) left footed shot from the centre of the box is blocked. Attempt blocked. Meleana Shim (Portland Thorns) left footed shot from outside the box is blocked. Assisted by Celeste Boureille. Substitution, Portland Thorns. McKenzie Berryhill replaces Jennifer Skogerboe. Goal! Houston Dash 3, Portland Thorns 0. Kealia Ohai (Houston Dash) right footed shot from the centre of the box to the bottom right corner. Hayley Raso (Portland Thorns) is shown the yellow card. Attempt missed. Rebecca Moros (Houston Dash) left footed shot from outside the box is high and wide to the left. Substitution, Houston Dash. Megan Crosson replaces Chioma Ubogagu. Attempt blocked. Stephanie Ochs (Houston Dash) right footed shot from the left side of the box is blocked. Attempt saved. Chioma Ubogagu (Houston Dash) right footed shot from the centre of the box is saved in the centre of the goal. Assisted by Rebecca Moros. Corner, Portland Thorns. Conceded by Bianca Henninger. Attempt missed. Mallory Weber (Portland Thorns) right footed shot from outside the box is close, but misses to the right following a set piece situation. Shade Pratt (Portland Thorns) wins a free kick on the right wing. Substitution, Houston Dash. Stephanie Ochs replaces Melissa Henderson. Corner, Portland Thorns. Conceded by Cambria Privett. Goal! Houston Dash 2, Portland Thorns 0. Amber Brooks (Houston Dash) right footed shot from very close range to the bottom right corner following a corner. Attempt blocked. Rebecca Moros (Houston Dash) right footed shot from outside the box is blocked. Attempt saved. 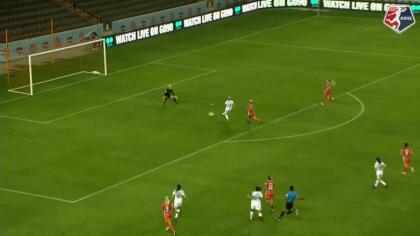 Kealia Ohai (Houston Dash) right footed shot from the right side of the box is saved in the top right corner. Assisted by Cambria Privett. Corner, Houston Dash. Conceded by Katherine Reynolds. Attempt missed. Denise O'Sullivan (Houston Dash) right footed shot from the centre of the box is close, but misses to the left. 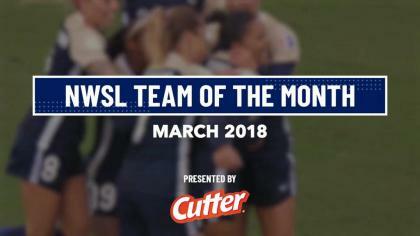 Assisted by Rachel Daly with a cross. Corner, Houston Dash. Conceded by Emily Menges. Attempt missed. Amber Brooks (Houston Dash) right footed shot from the centre of the box is just a bit too high. Assisted by Melissa Henderson with a cross following a corner. Corner, Houston Dash. Conceded by Samantha Lofton. Substitution, Portland Thorns. Shade Pratt replaces Maureen Fitzgerald. Denise O'Sullivan (Houston Dash) wins a free kick on the left wing. Substitution, Portland Thorns. Samantha Lofton replaces Kathryn Williamson. Hand ball by Chioma Ubogagu (Houston Dash). Attempt blocked. Meleana Shim (Portland Thorns) left footed shot from outside the box is blocked. Assisted by Hayley Raso. Meleana Shim (Portland Thorns) is shown the yellow card for a bad foul. Foul by Meleana Shim (Portland Thorns). Attempt blocked. Meleana Shim (Portland Thorns) right footed shot from the centre of the box is blocked. Attempt blocked. Amber Brooks (Houston Dash) header from the centre of the box is blocked. Assisted by Melissa Henderson with a cross. Maureen Fitzgerald (Portland Thorns) wins a free kick in the defensive half. Corner, Houston Dash. Conceded by Kathryn Williamson. Attempt saved. Rachel Daly (Houston Dash) right footed shot from outside the box is saved in the top right corner. Foul by Kathryn Williamson (Portland Thorns). Chioma Ubogagu (Houston Dash) wins a free kick in the attacking half. Attempt missed. Celeste Boureille (Portland Thorns) right footed shot from the centre of the box is too high. Assisted by Nadia Nadim. Attempt missed. Denise O'Sullivan (Houston Dash) right footed shot from the centre of the box is too high. Assisted by Kealia Ohai. Attempt missed. Hayley Raso (Portland Thorns) right footed shot from the left side of the box misses to the left. Attempt missed. Denise O'Sullivan (Houston Dash) right footed shot from outside the box misses to the left. Attempt missed. Chioma Ubogagu (Houston Dash) left footed shot from outside the box is close, but misses to the right. Assisted by Kealia Ohai. Attempt saved. Rachel Daly (Houston Dash) right footed shot from the centre of the box is saved in the bottom left corner. Assisted by Kealia Ohai with a cross. Goal! Houston Dash 1, Portland Thorns 0. Rachel Daly (Houston Dash) left footed shot from the centre of the box to the high centre of the goal. Assisted by Melissa Henderson. Offside, Houston Dash. Melissa Henderson tries a through ball, but Chioma Ubogagu is caught offside. Attempt saved. Hayley Raso (Portland Thorns) right footed shot from the left side of the box is saved in the centre of the goal.